Figured’s scenarios tool lets you plan and analyse different outcomes for your farming operation across multiple years. The whole farming team can view and access these scenarios to make more informed decisions. You can get to existing scenarios and create new ones using the tab below. To create a new scenario, head into the scenarios tab and click the Get started or Create new scenario button. Enter a name, description, farm operation(s) used, type of scenario (e.g. annual review), and a scenario start year as well as length. NOTE: The start year cannot be changed once you've created the scenario; however, you do have the option to advance by 1 year when you copy a scenario. On the page that follows, you'll be able to select a starting point. This could come from farm data present on your farm, or you could have a blank starting point. 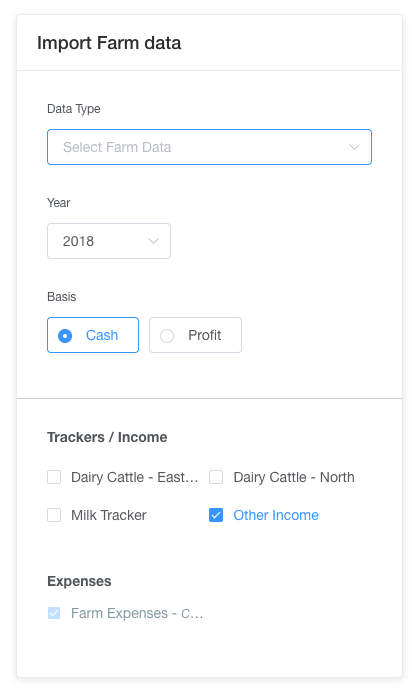 If you select to import farm data, you'll be able to choose budget or actuals + forecasts, and you can toggle which tracker data you wish to bring in as well as if you wish to bring in other income entered via the planning grid. 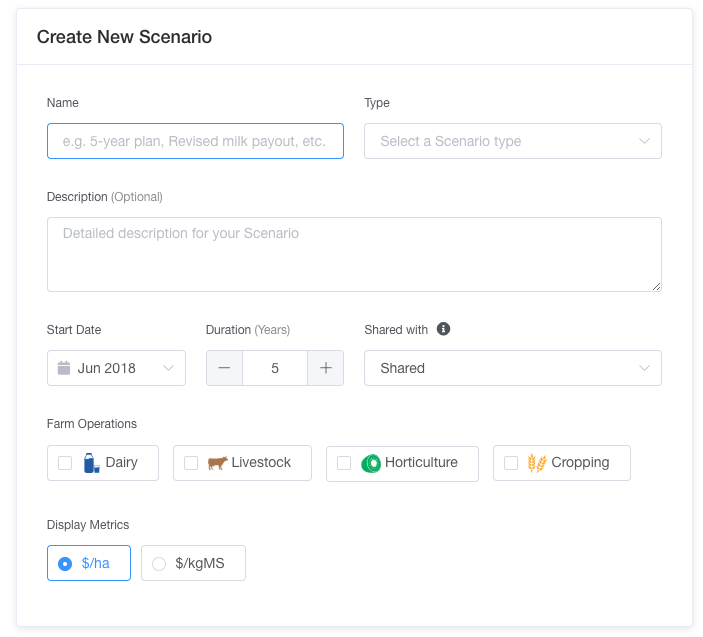 Now that your scenario is created you can enter the opening position of your farm before moving on to build out the scenario proposition.